The Minimal has a greater surface area compared to a short board means speed, planning, power and maneuverability in weaker conditions giving you the edge over the shortboard pack. The Minimal is also available in a funboard option. 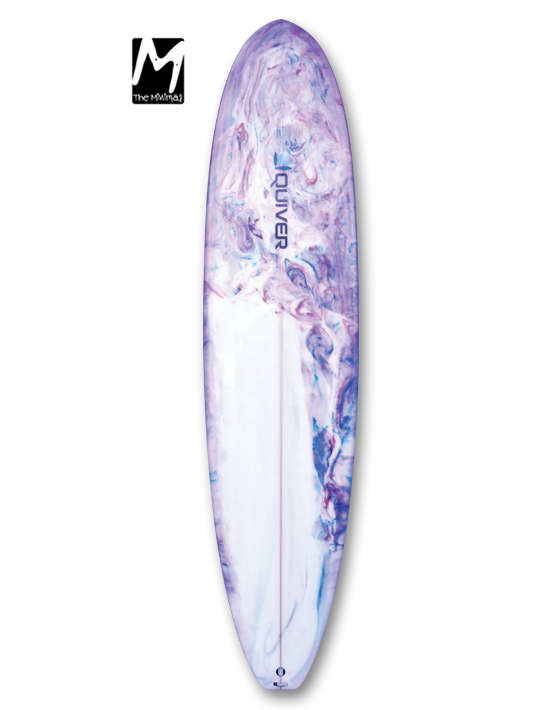 The Quiver Funboard comes as a thruster with a single to double concave with vee in the tail. We’ve tuned this board over the past 20 years and believe us, it’s fun! The below dimensions are guidelines and we can completely customise a Minimal board for you. Product ID: 1439 Category: Boards.